This was one of the best interviews I’ve ever heard. They cover the history and future of humanity, and the current transition between two different kinds of cultural conflict. In the past, humans fought oppressive tyrants who exploited them. In the future, humans face the new prospect of being completely irrelevant, while the tyrants saunter on as though nothing has changed. Billionaires+AI are the new ruling aristocracy, further than ever from the reach of the average person. What can we do about it? What does it mean for democracy? What does a realistic future look like and how do we get there? This has been one of my favorite books since I was a child. 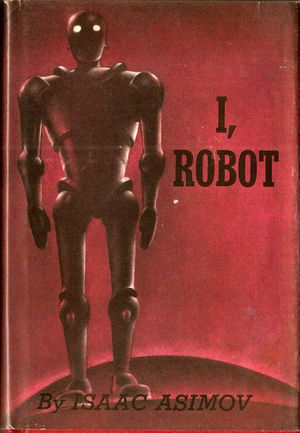 When I heard the announcement that this year’s theme for Burning Man is going to be “I, Robot,” I decided to reread it. It’s still one of the best books I’ve ever read. I can not say this enough, THIS BOOK HAS ALMOST NOTHING TO DO WITH THE TERRIBLE WILL SMITH MOVIE BY THE SAME NAME. The rise of Artificial Intelligence and the reaction to it. The realization that humans are not running the show anymore, and the assertion that this is a good thing. The definition of what it means to be a person. At just 253 pages, it goes by quick. I would highly recommend this book to anyone who is interested in artificial intelligence. It is also a great first step into the vast universe of the very prolific Asimov. I can’t wait until his dozens of books start being made into good movies. The Foundation series especially is going to be amazing. What unique benefits does this company/product deliver and who are your 1,000 true fans? How can I turn my casual fans into die-hard fans? These are the fundamental questions he asks through his three rules of branding. This is a really great episode about differentiating and the value of ignoring branding. There is a lot of practical, tactical information. I will revisit this episode many times. Oddly, I was not able to find this episode on his website, but I did find it on Player.fm. 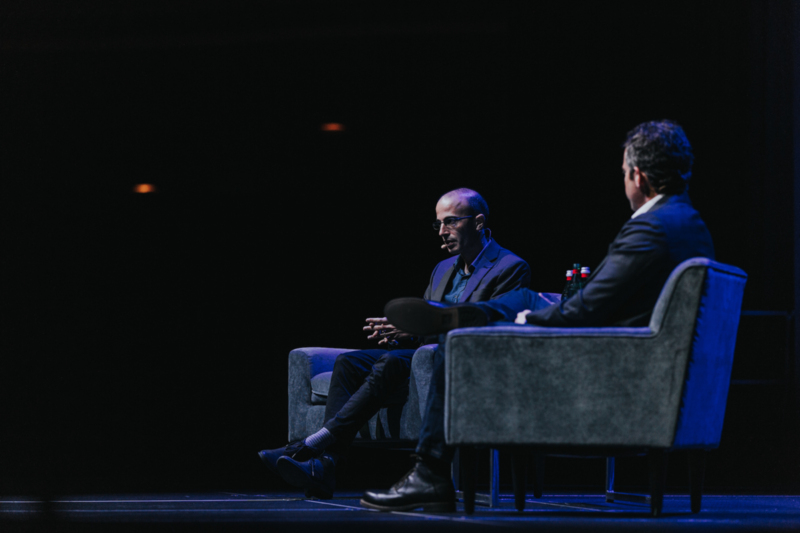 Sam Harris’ Waking Up Podcast – What Happened to Liberalism? From “The Once and Future Liberal: After Identity Politics” by Mark Lilla and his interview with Sam Harris. In this great episode, Casey and Jason go in depth on topics around customer acquisition cost and how to measure the sustainability of your product or service’s key actions. This feeds into a great conversation about what steps to take before a growth phase to make sure you can survive it. This leads into a great discussion about what investors and venture capitalists look for when making decisions or considering a Series-A. Crucially, they also get into the importance of using multiple customer acquisition channels in order to maximize growth. There is an especially interesting conversation about the differences between channels that have high or low customer acquisition costs and high or low lifetime value. For example, paid search results advertising has lower lifetime value because the customer may not have been looking for you, whereas grub hub’s transit ads had comparatively high lifetime value because those people naturally formed a relationship with the product. There are lots of great examples from real startups they each have worked with on these issues, and then there are questions from CEOs in the audience about how the concept applies to them. I will revisit this episode next time I am at this point in a project! This book was recommended by a friend. He said it reminded him of a shared favorite of ours, How To Win Friends and Influence People by Dale Carnegie. It reminds me of The Game by Neil Strauss. This book could be used for great evil, or for good. And like The Game, it will certainly be used against you whether or not the wielder even knows what they are doing. For that reason alone, everyone should be familiar with this subject. In the preface, the author also references Niccolo Machiavelli’s The Prince. Another book in the same vein which I intend to read soon. 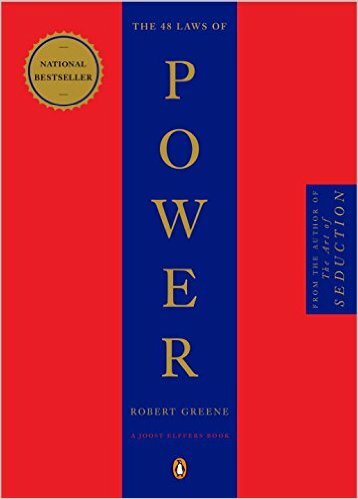 The 48 Laws of Power is a great read which I will certainly revisit many times and recommend to anyone I meet who aspires to power. The feeling of having no power over people and events is generally unbearable to us — when we feel helpless we feel miserable. No one wants less power; everyone wants more. In the world today, however, it is dangerous to seem too power hungry, to be overt with your power moves. We have to seem fair and decent so we need to be subtle — congenial yet cunning, democratic yet devious. Here is a summary of the list of laws which I will revisit on a regular basis to refresh my memory, like I do with Carnegie’s list. Humans are creatures of habit with an insatiable need to see familiarity in other people’s actions. Your predictability gives them a sense of control. Turn the tables: Be deliberately unpredictable. Behavior that seems to have no consistency or purpose will keep them off balance, and they will wear themselves out trying to explain your moves. Taken to an extreme, this strategy can intimidate and terrorize. In Victory, Learn when to Stop the moment of victory is often the moment of greatest peril. In the heat of victory, arrogance and overconfidence can push you past the goal you had aimed for, and by going too far, you make more enemies than you defeat. Do not allow success to go to your head. There is no substitute for strategy and careful planning. Set a goal, and when you reach it, stop. When I was composing the outline for the speech and rehearsing it, I tried to make it as relatable as possible. I made sure to include at least a few concrete examples whenever I discussed abstract ideas. I find this generally lacking in most entrepreneurial literature, so I think and hope that I improved on this frustrating trend. I feel like most people can relate to this topic if it is presented properly. For these reasons, I think the content was good. My last-minute addition of a visual aid was also a really great touch. It was more than just the visual effect, or even the smell; it was visceral. I think it really grabbed attention, and it made the value-proposition of the content become a visceral feeling for the audience. Hunger is a limbic response, a deep emotional thing. It supersedes the prefrontal cortex and the trained analytic mind. This was a major underlying theme in my speech; take the product to the people who don’t know they want it, and make them want it. I demonstrated that without even talking about it. My clincher about how the audience could take the pizza into the quad right now and quadruple the money seemed to leave them with ideas about how they could implement the ideas I had discussed. Several audience members approached me about business ideas they had and how they might bootstrap them like I did. I think this part of the speech was very effective. In general, I would say I was not very anxious about this speech. I have had a great deal of public speaking experience from a young age, BUT a big part of what little anxiety I did have was timing. I am not used to timed speeches. To alleviate this anxiety, I decided to include several quick stories in my concrete examples for each abstraction. Then, I could expand on the stories as required to get to the correct time. I think concrete examples were a good idea, but I think the stories went too long, and this was the one development opportunity identified by the professor, who said I “Squirrelled,” (or went on tangents or rabbit trails) in his remarks at the end of the speech. This had been a deliberate and strategic effort to fill time, but obviously it distracted from the content. I will try to expand on concrete details next time, or perhaps use a story as one of the major points, rather than trying to incorporate several into sub-points. Also, I should have defined the “unfamiliar” word bootstrap as soon as I first used it. This implies a different structure would be better. Rather than enumerating abstractions and then providing concrete examples and stories, a better strategy might be to enumerate several abstractions and provide concrete examples only, then finish up with a brief story to tie everything together. This also means timing would be harder, and I will need a better strategy for making sure the time is correct. I think doing some sort of outline for the ending-story and then selectively condensing it would be a better strategy for getting the time correct. 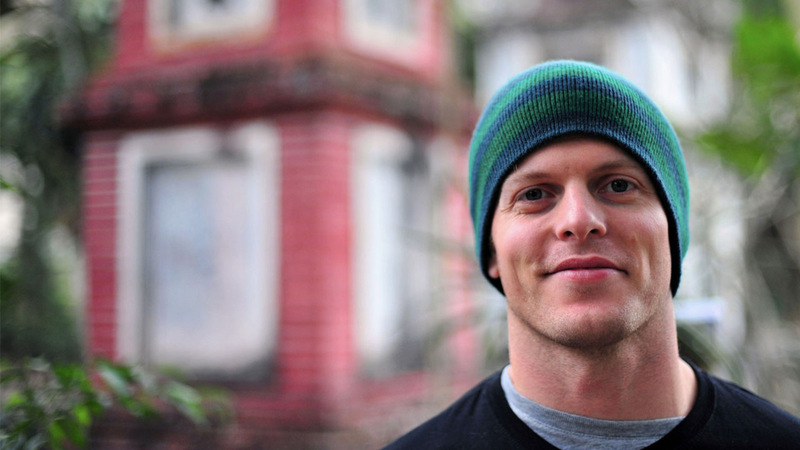 Tim Ferriss is in Kevin Rose’s words, “very private,” despite his very public personality and lifestyle business. We, the audience, see a very detailed and in-depth view of some parts of his life, but with things like love and relationships, he is more reserved. I have often felt curious about that side of him, and this episode starts to pull back the veil just a bit. They have a very interesting conversation about modern relationships and the implications of too-much honesty in relationships. 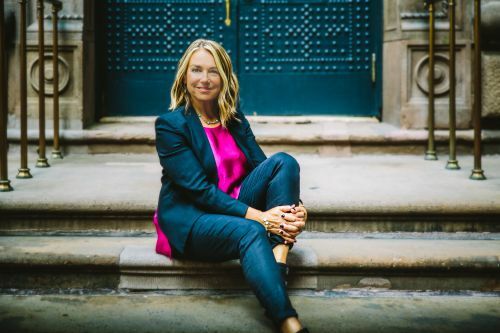 Esther Perel is the daughter of two holocaust survivors who is a world-renowned therapist specializing in relationships and adultery. 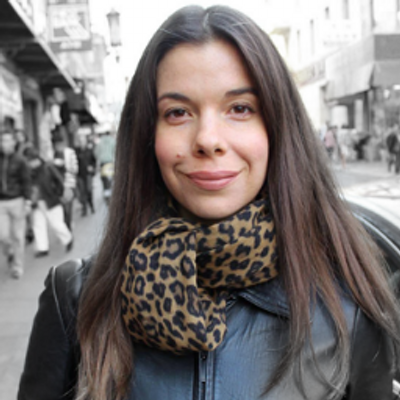 Fluent and working in more than half a dozen languages, she brings a culturally diverse perspective to the conversation. Her wide-ranging therapeutic experience gives her many experiences and examples to draw on. She does an excellent job of articulating and contrasting different ideas of what is normal for different cultures. They talk about the how American culture’s “traditional” relationship model has evolved from defining monogamy as one person for life, to serial monogamy as the norm. And in both cases, clandestine adultery as a norm. They discuss polyamory and the importance of considering the cost and burden to partners when considering whether to reveal indiscretions which they seem to argue are inevitable with our culture’s unrealistic ideas of what relationships should be like. This was a fascinating listen which left me feeling very unsure about how I feel about many of the topics they covered. I will relisten to this episode many times! This episode has an unbelievable amount of information. The Guest is Dr. Rhonda Patrick, who Tim describes as, “an American biochemist and scientist.” She has done extensive research and work in the fields of the cellular biology, genetics, nutrition, and nootropics. She views aging as a disease to be treated, and elaborates in depth on all of these topics. Regular sauna use is really really good for you, for a huge number of well researched reasons. There is a tremendous amount of research around the influence of genetics on nutrition, and the fact that nutrition works differently for everyone. Having recently synthesized my genome with 23AndMe, I was very interested in her comments about various services which will allow you to bring over your genome for dietary analysis. This is something I will need to look in to. Nootropics or any drugs which work by prevent reuptake in the brain cause down-regulation, or the reduced capacity of the brain to deal with normal levels of those neurotransmitters. She goes in depth into the implications of this and her conclusions about how to use those. NSAIDs are really really bad for you. I had no idea about the mountain of recent research linking them to everything from stroke to heart attacks. As someone who takes them almost every day, I will certainly stop doing that. She suggests several great, healthy, natural alternatives. Sulforaphane is very important and I should eat a lot more of it, (ie. Broccoli). It is very important for many cellular processes which prevent and repair the damage that leads to aging. It also drives the growth of new neurons and body systems which ward off insects. She goes in depth into her experience with nootropics and dietary supplements and the ones she takes every day. I will need to look further into these. Fasting and time-restricted diets are very good for cells and for fighting the kind of damage that leads to aging. Fasting makes your body consume sick cells for energy at a much higher rate than normal, decreasing the chances for cancer and improving the function of the tissues and organs composed of these cells. This goes hand in hand with cellular genesis, or the creation of new cells which also speeds up during fasting. These new cells are more efficient and functional than the old, less-functional cells which are converted to energy. Research also shows that animals which eat during a smaller window like 10 hours per day have pervasive improvements in function of systems all over the body from the mitochondria to the digestive system. In tests with mice, this also leads to up to 20% longer lifespan. I will be re-listening to this episode a number of times in the next few months and expanding on this post. For now, it has inspired me to start eating during a smaller window, for now just ten hours. This is the largest window she says will likely still confer the benefits of time-restricted diet.